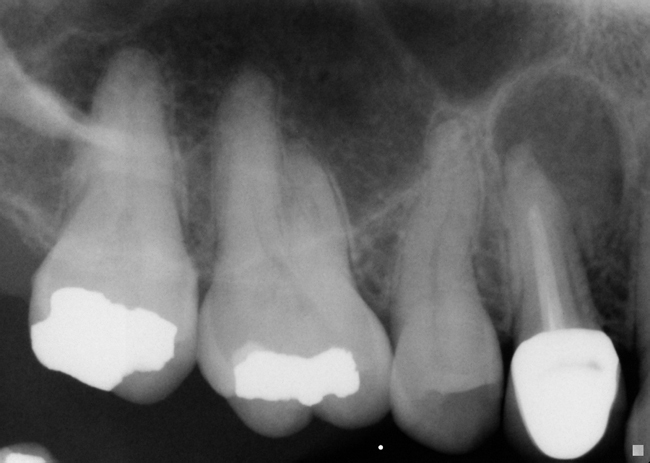 Definition: A cyst that forms around the apex or lateral canal of a non-vital tooth. Rarefying osteitis is used to describe a loss of bone due to inflammation and includes a radicular cyst as one of three entities. 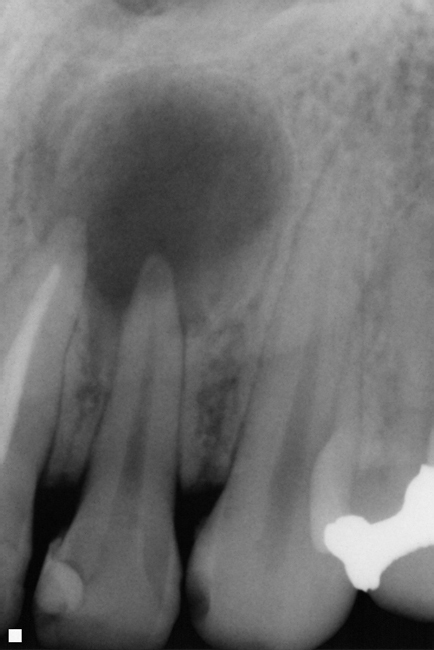 Once an area of rarefying osteitis becomes larger than 1 cm, a radicular cyst should be at the top of a differential list. These cases below have all been histopathologically confirmed as a radicular cyst. Location: Most commonly at the apex of a tooth, but is sometimes on the lateral aspect of a tooth when associated with a lateral canal. Other: Tooth must be non-vital that it is associated with. 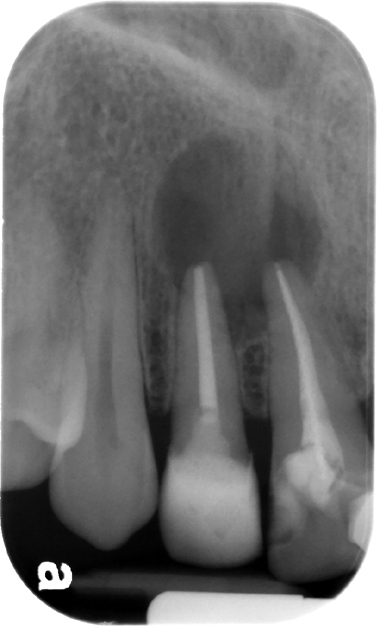 It may displace or resorb adjacent teeth as it enlarges. Number: Typically single, but may be multiple locations throughout the jaws.